Email marketing. The sound or thought of that topic may not sound as appealing or exciting as sharing photos on Instagram or posting 140 characters to Twitter, but email marketing is an effective tool for reaching prospective customers and clients. Email campaigns are often an afterthought for many business owners, not a primary marketing strategy. 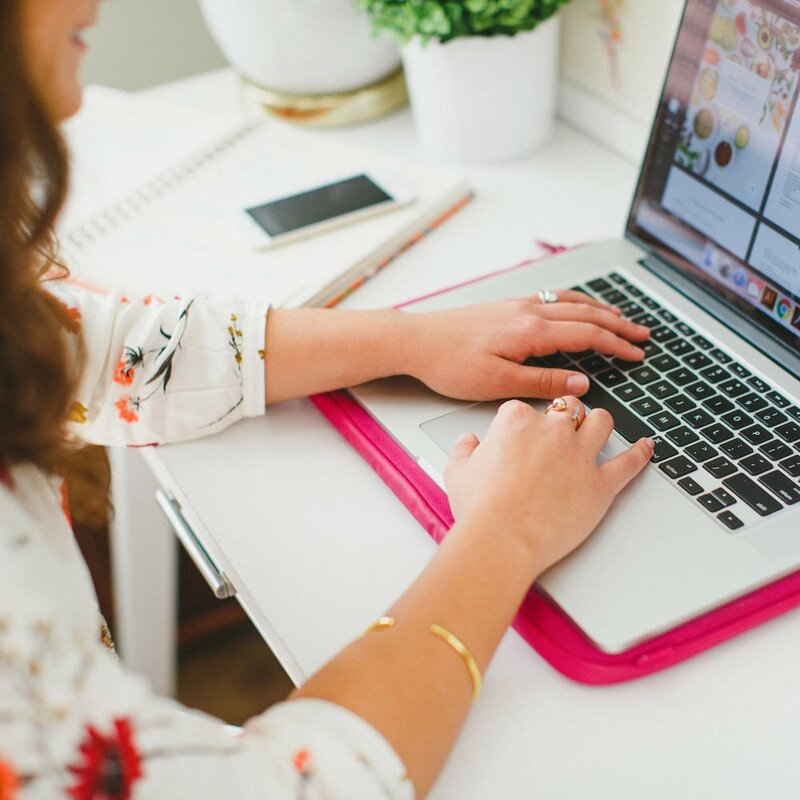 So today I'm discussing the benefits of email campaigns and sharing 4 tips for simplifying your email marketing strategy. According to internet marketing guru Jeff Bullas, 3.6 billion email accounts were created in 2013 and that number is expected to increase to 4.3 billion by 2016 (source). Compare that to Facebook's 751 million accounts, and you have quite a large difference (source). Everyone has an email account, but not everyone is active on every social media platform. With email marketing, you have potential access to a larger audience. Email marketing also allows you to tap into that potential granting you direct access to that larger audience. Instead of hoping that your followers will come across one of your posts on Facebook, Pinterest, or Instagram, you're sending marketing material directly to them. Studies show time and time again that email marketing is extremely effective at getting conversions. The conversion rate is the percentage of individuals who come to your site and "convert" into paying customers, and email marketing has been proven to have a higher conversion rate than search engines and social media combined (source). This probably has a large part to do with email list recipients voluntarily signing up to receive emails, whether it's by subscribing to a newsletter, entering a giveaway, or sharing an email to receive a free ebook. Each time you send out a mass email from an email marketing platform, you're able to gather detailed information about how many subscribers receive your email, open the message, click on links, and even unsubscribe. You're able to compare data from past email marketing campaigns to see which subject lines were the most effective for gaining attention, which links were the most popular within your message, and which material causes people to unsubscribe quicker. All of this information is valuable for not only learning what appeals to your ideal audience, but for finding out how to increase sales. Depending on the number of subscribers you have on your mailing list, email campaigns are a free form of marketing. With several social media sites like Facebook, Pinterest, and Instagram sharing an increasing number of promoted posts each day, free marketing opportunities will continue to become harder to come by. Email marketing is a free opportunity to reach potential customers. Email marketing platforms allow you to capture and organize emails, create new email campaigns, and view reports on the outcome of a campaign. My email marketing platform of choice is MailChimp, but Aweber and Constant Contact are some other well-known alternatives. I prefer MailChimp because it's free (as long as you have less than 2,000 subscribers), it's interface is simple and easy to use, and it easily syncs with Squarespace. 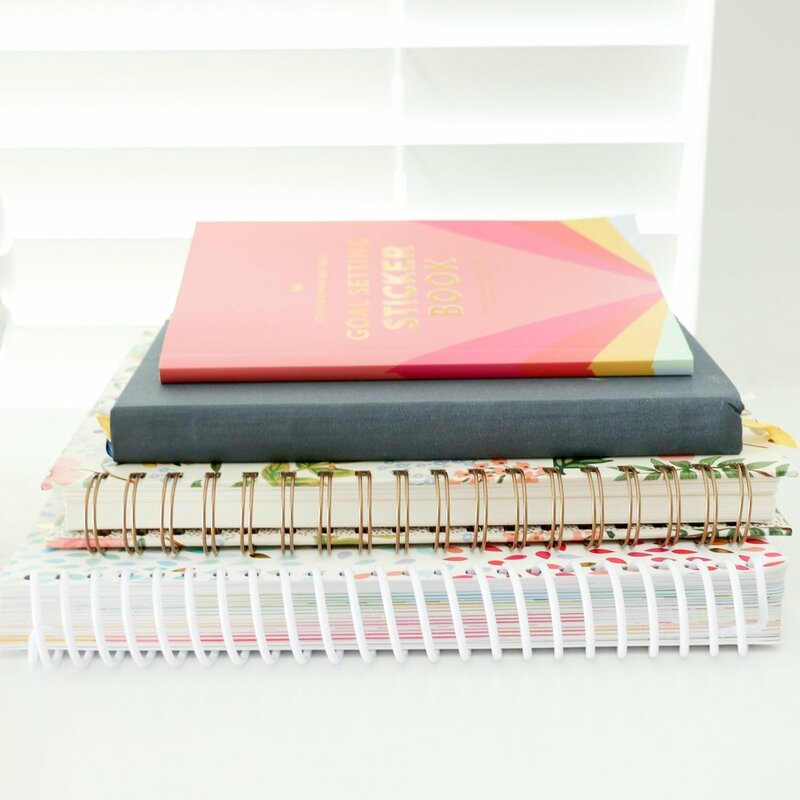 When I first started the Elle & Company newsletter, I promised followers a once-a-month email with all sorts of bells and whistles, free printables, and fun announcements. Not only was it over-promising, but it became a chore and a dread; it wasn't realistic. A couple months ago Jake and I revisited my email strategy and came up with a system that was more frequent, but much more attainable. I now share announcements, recent blog posts, Library updates, and new features in a weekly newsletter, and there isn't much pressure to come up with an elaborate plan; I simply summarize the week's events and point subscribers to relevant information on my site. Don't overthink your email list; it doesn't have to be elaborate or extensive. Instead, come up with a system that's attainable and offers value to your subscribers. As a designer, I put a large emphasis on creating images for my newsletters, but Jake said something a few months ago that changed my perspective on email images completely. "Images always make subscribers think of spam. If you think about it, you're used to receiving and trusting simple text emails over sales-y messages that are full of images." Too many bloggers and business owners believe they need to have a fantastic-looking email, but it seems that they may be doing more harm than good. Go for the simple email approach; simple emails are the ones you actually take the time to read and respond to. Informal writing is also a way to ward off any thoughts of sales-y pitches and spam; it puts your reader at ease. While the text in your email should be conversational, it should carry a clear message with a clear call-to action. The whole point of an email marketing campaign is to gain trust with your audience or market your business/blog in some shape or form, whether it's by announcing a new product launch, updating your subscribers on a change in your business, or offering your customers a great discount. Have a purpose behind your email campaign and lead subscribers to take action. Have you put thought into your email list? What have you found helpful for simplifying your email marketing strategy? Would you like to see my email list in action? Subscribe to the weekly Elle & Company newsletter! Thank you for subscribing to the weekly newsletter! Be on the lookout for a message from Elle & Company in your inbox this Sunday.